” Today you can transform the feel of your photo using one of its 17 different filters. You can also easily share your photo on Instagram with Facebook, Twitter, Tumblr, and FourSquare”. I thought these details would be useful for the general public to give more specifics on how the website works. I had a little trouble with the references at first! The Vimeo webpage is also pretty informative. One thing I noticed that was missing was information about the Vimeo phone application, which proved to be a good tool to use in my studies of the website. I constantly used the application when I was on the go to check around the website. It also allows you to edit your videos, which is not an available feature of the website. So I decided to add this to the community section of the Wikipedia page. “Vimeo has launched a phone application in which you can upload, edit, manage, and watch your own videos”. Now after all of this time spent on Vimeo,I think I can officially label myself a Vimean, which is what active users call themselves. While spending more time investigating Instagram and Vimeo, I’ve encountered a few issues that seem to be holding me back from utilizing these specialized services to their maximum capacity. After spending a lot of time on Instagram, I’ve been left wondering if their interface is just entirely too simple? I haven’t really found that spending hours and hours on this site will really help me get further connected to the service. All of my interactions with this service have been quick. I usually check my news, feed, and take a fast look at the popular photos and then it seems like I’ve done all I can possibly do on this website until some the people I follow update their pages again in the next few days. This could be because most of the people I interact with use this service very sporadically. It hasn’t become something that my friends use on a daily basis. People don’t automatically think of Instagram when they want to upload a picture. This could be because other websites like Facebook are more of an all encompassing/ one-stop shop site, and they don’t feel like using Instagram has any advantages over using Facebook . It is not worthwhile to upload their picture sseparately to Instagram. I have personally been using Instagram as the first place to upload my photos because it allows me to share my pictures with not only the people that follow me on Instagram, but it also sends my pictures to Facebook and Twitter with the click of a button. It is convenient because I can go to one place to share my photos in multiple locations. This a very young website, so hopefully its convenience and simplicity will help it catch on in the future. I’m having a similar problem with getting my work noticed on Vimeo. 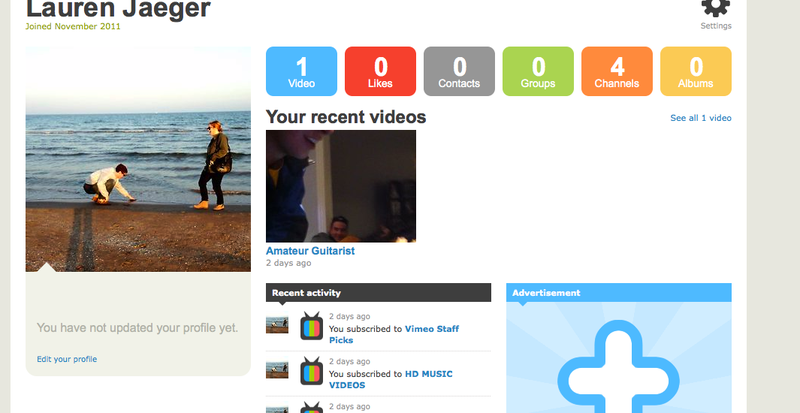 I virtually have no followers because Vimeo is a fairly small media sharing website with only 3 million users worldwide. It has not become a mainstream website within my friend circle, so when I upload a video, I must rely on people I don’t know to view it. The problem with this has been that it is difficult to make connections with people. I messaged one person I follow and asked what his advice was on getting noticed within this website. Unfortunately, he has not responded yet. This website seems to be geared toward a more professional audience, which could be why my video is not being viewed as many times as I would like. I need to focus more creating more communication with Vimeo in order to better be able to utilize the features on Vimeo. As my research progresses on Instagram and Vimeo, I have been noticing some advantages these media sharing services have over more widespread media like YouTube or social media services like Facebook. When I first began my research it was difficult to understand why someone wouldn’t just use Facebook as their platform for sharing their photos or videos. Facebook has expanded its community and possibilities for bringing your art to viewers, however, I’ve seen the advantages these more specialized communities can provide. An advantage of putting my pictures on Instagram is because I can transform the feel of my pictures. All of the filters allow me to frame my pictures in a different light, which adds a little bit of creativity and increases the artistic value of my photo. You don’t have the luxury of doing this on Facebook. Instagram also provides a really easy way to share photos, so my family and friends can have easy access to all of them at one time. I told my parents to join Instagram, so they have started following me and it gives them tid bits of my life. They are thrilled they can see when something is important in my life happens and I share it on Instagra. I’ve also found it very useful that it allows me to share my pictures on Facebook and Twitter. It is basically effortless to share my pictures on different platforms so all of my communities across the internet can see them. I’ve been taking advantage of the seamless integration with social integration. 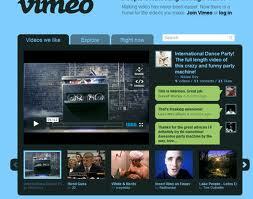 Vimeo proves to have a greater advantage of posting your videos on their site as opposed to just on Facebook. This is because of the opportunities for exposure it gives you, except for the fact that the video I uploaded has only gotten one view! I think this is because I haven’t reached out to make connections, but they are there. That will be my next step in this project. My video doesn’t really show a point of view, but I imagine if your video actually has something to say it is easier for it get noticed on Vimeo, where it is surrounded by artistic videos. Another cool feature of Vimeo is that it gives you a weekly update on how many people viewed your video, how many watched it from start to finish, and where your viewers are located. This can help me target my audience and see how successful it is. In order to protect the security of my video, Vimeo allows me to choose between who I want to share it with. I can allow the public to view my video, certain friends, or specific groups. I currently put my security level to only let my friends view my video, which could be why I don’t have as many views as I would like. After exploring both Vimeo and Instagram deeper and spending more time on both websites, I began to notice that they really encourage you to form a specialized community. They want these sites to be a platform, where people who share the same interests as you can connect with one another. They both promote communication with other views in different ways. Instagram is a great way to form connections with your friends, celebrities, and other professional or non professional photographers. It is really accessible and easy to use so amateur photographers or people who just like to share their experiences through pictures are supported on this website. I have found that a lot of my friends joined Instagram, but don’t use it on a regular basis. It seems a bit forgotten about among my friends. However, with celebrities or people that have something to promote it seems to be a great tool to attract people to their line of work. 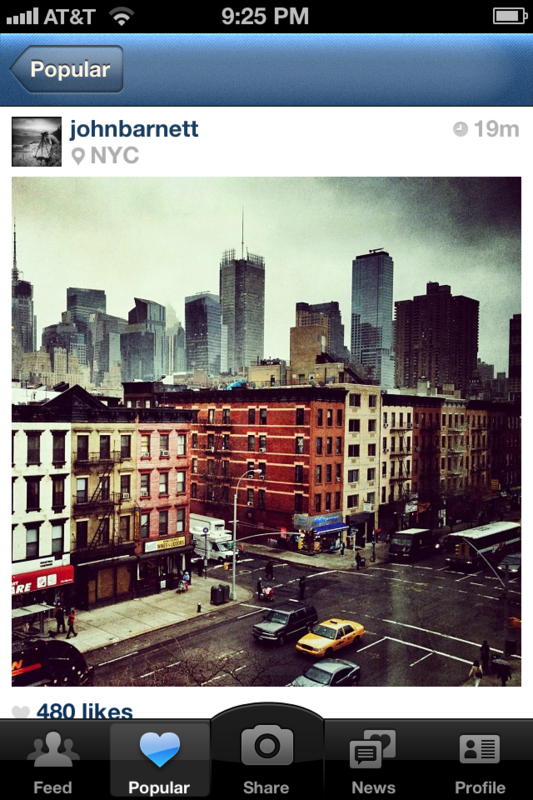 I follow Whitney Port and she always uploads pictures of projects she is working on to get her fans excited about it. When a celebrity puts up their recreational pictures and its coming directly from them, it seems makes the celebrity seem more personable and down to earth. 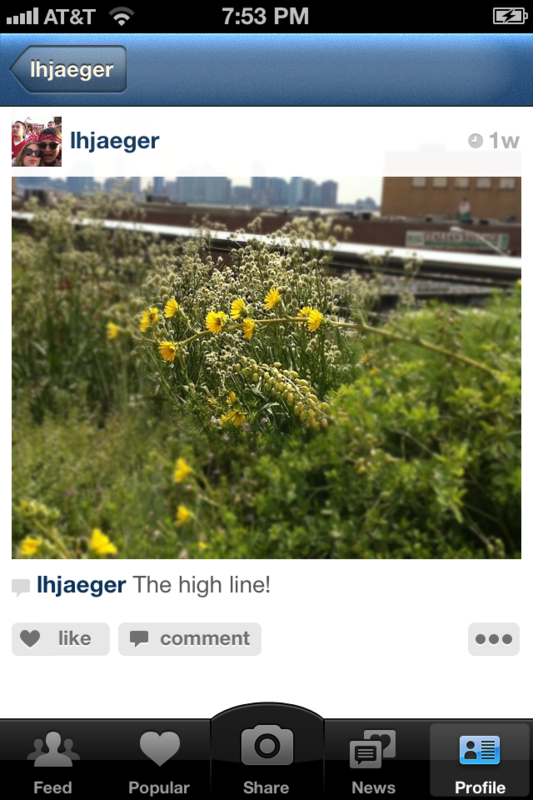 Instagram supports the unification of their members by adding a hash tag feature. This way people who put up pictures of the same nature can connect with each other. They even started a project called The Hash Tag Project, in which a topic is released and users upload their pictures of this topic and use a hash tag in order to be linked and grouped with these other pictures. I saw a hash tag project in which users were supposed to upload their pictures of New York City and so many unique photos were posted. This is a great way to build a sense of community by bringing a common purpose to everyone on the website. It also includes a “popular” section. People can show their approval of a picture by liking it and the photos with the most likes are put in the popular category. Everyone who uses Instagram sees the same popular pictures. Vimeo also truly wants its users to connect with one another. It does this by making exploring pictures really simple by making defined categories . Every time you upload a video you can tag it and place it in a specific category. I uploaded a video of my friend playing the song he wrote and put it in the music category in order for other musicians to see in hopes that they will recognize it. 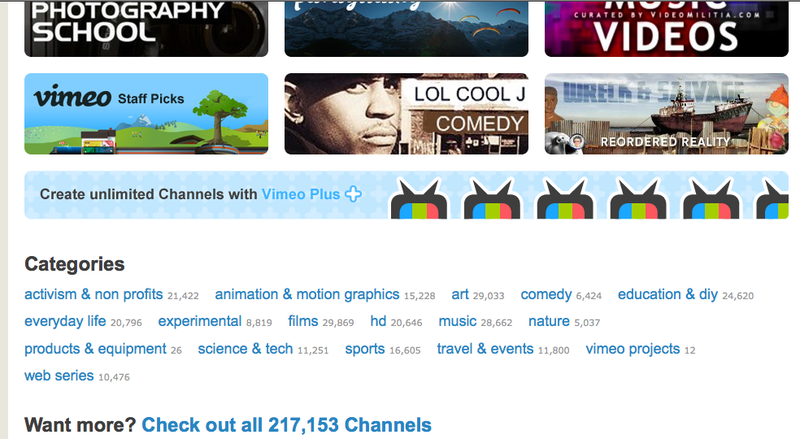 Vimeo users can browse categories of video topics that range from Science videos to Comedy videos. These subgenres help you see the work of others, which will hopefully inspire the viewers to create more videos of their own. I love looking at the Do It Yourself section because it motivates me to become an active person and I’ve even made a bracelet using one of the videos step-by-step instructions. If you find videos you like by one person you can subscribe to their channel in order to follow what they are doing on Vimeo, what they are uploading, and how they are utilizing its features. There is also a convenient feature that allows you to message a user. You can ask them questions or hopefully get good advice, clearly this promotes communication between Vimeo users. I haven’t done this yet, but maybe in the future if I need help with something I will. It is nice to know that this is available. Screen shot of the different categories they offer on Vimeo. So that was Instagram, Now What? 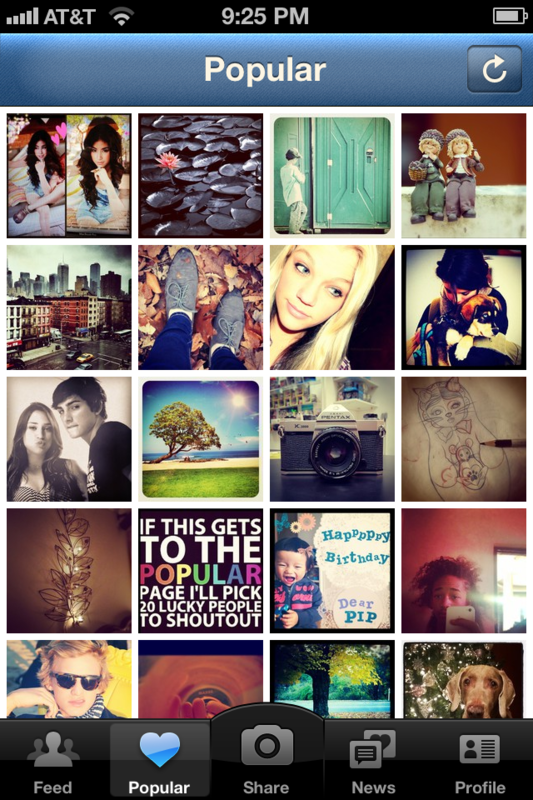 After spending a few hours playing around with Instagram, I gained a few followers and uploaded around 15 pictures! I realized that there is nothing super complex or puzzling about it, although it is entertaining and fun to look at all the pictures and upload your own. Because of this I decided to choose another media sharing service that you could do more than upload pictures on, which is how I came across Vimeo. So now you may ask…what is Vimeo? It took me a little while to navigate around this website at first in order to understand its purpose. To me this website seems to be geared toward a more professional crowd who values art because of the way it really tries you to get you to form communities, follow channels, and become interested in other peoples videos. This website is not for editing, however, I did download the Vimeo phone application which allows you to do basic edits to your video like add music or sounds to it. I think they were also trying to work off the principle of simplicity. I wasn’t exactly sure what to do on my first experience on this website because none of my videos seem “professional enough” or high quality to add to the website. It does come off as a little intimidating because the featured videos looks like they could be produced by Steven Spielberg! I decided to create a login, a profile page, and subscribe to a few channels that seemed interesting to me like Cities in Minutes. I also explored the possibilities of creating groups of followers in which you can categorize into family, friends, coworkers, or however you choose to divide the people you know into. This obviously makes for sharing videos really simple. I think my biggest challenge with this website will be to gain attention and a following. So, simplicity and fast sharing may be the reason there is no website. The creators wanted it to be a quick and on-the-go sort-of-a-thing . There are a few other editing techniques like adding a frame or making a focus point of your picture and the rest blurry, but that is pretty much the gist of it. There are no fancy editing techniques or no complicated processes to share it. My first interaction with Instagram happened without any glitches. I uploaded a few photos and applied different filters to transform the feel of my pictures and make it a little edgier/artsier, which I will share below. It also allowed me to view which of my friends on Facebook are connected with Instagram, so I immediately got connected with them. It truly is simplicity at its finest. 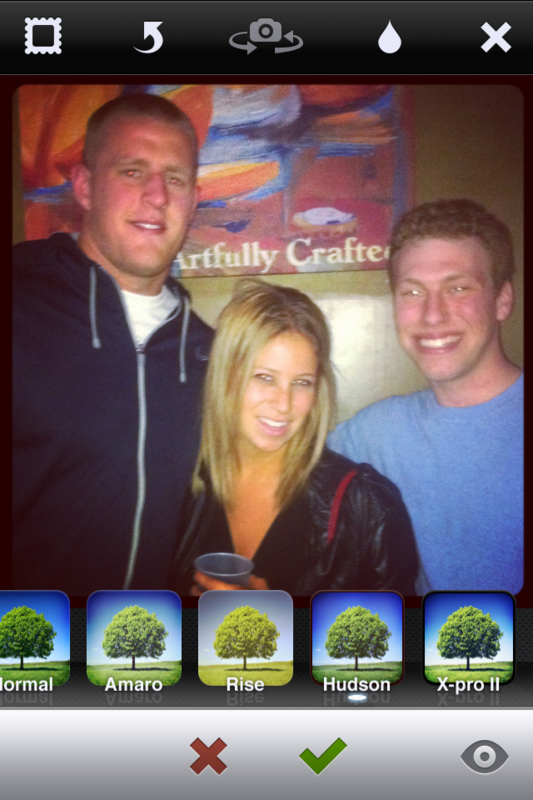 A picture of me and JJ Watt utilizing the Hudson filter. 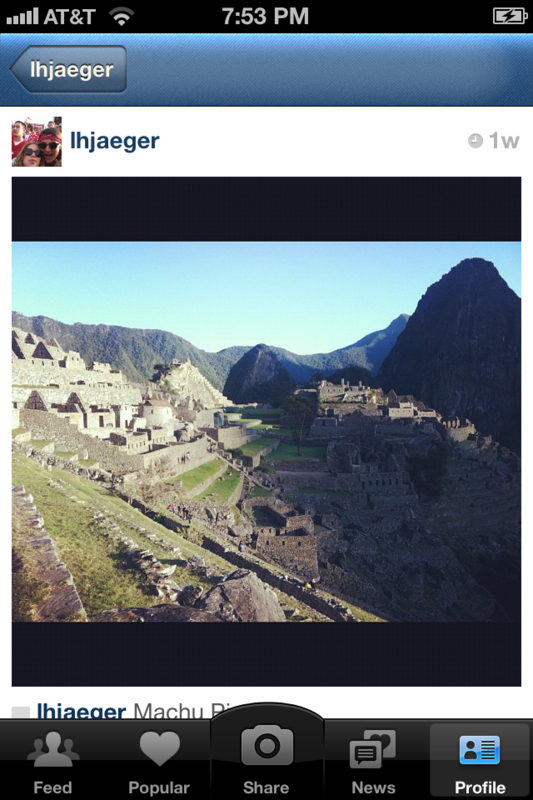 A picture of Machu Picchu that I took in Peru and this is what it looks like when you upload it to Instagram. 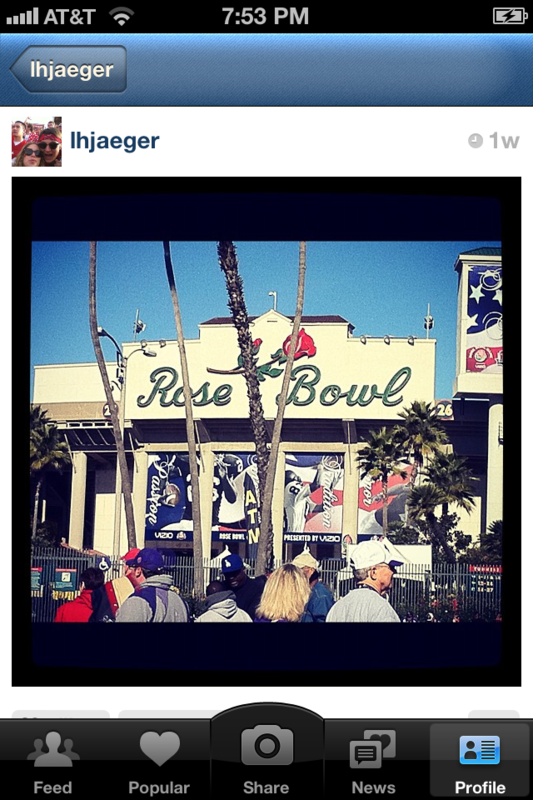 Another uploaded picture when I was in Pasadena last year! A picture of the Highline in New York City. I used the tool to focus on the flowers in the middle and blur the rest of the picture!